Curious about Cosplay, but not sure how to get your ensemble started? Artist Patrick Dean has you covered. 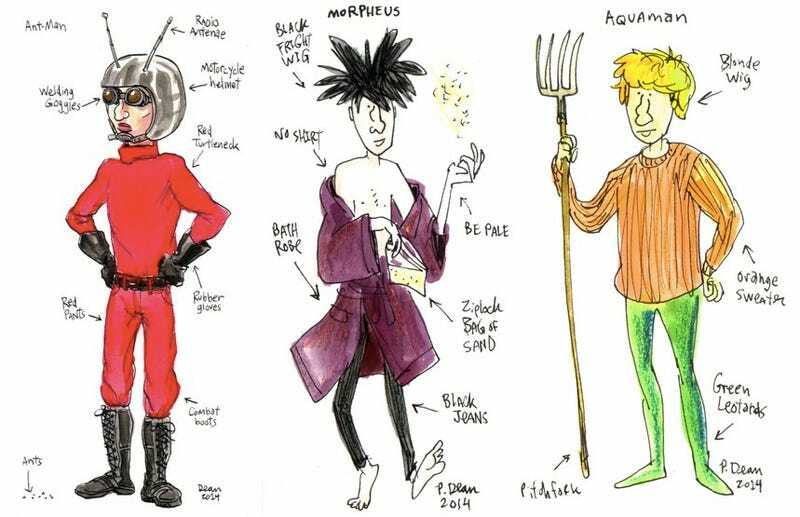 His illustrated work "My Half Assed Cosplay Ideas" is anything but half baked. It's a treasure trove of easy-to-recreate comic costumes if you have the patience. Dean's entire Tumblr is STUFFED with great ideas, and details on how to execute each costume. We love these because they can be basically cobbled together with trips to the thrift and hardware store. Plus they all take a little bit of finagling. Love it. Check out his website for additional costuming ideas and details on each illustration.